A new bus wars look set to break out in the Capital after First West Lothian said it was ready to go toe-to-toe with Lothian buses over services. 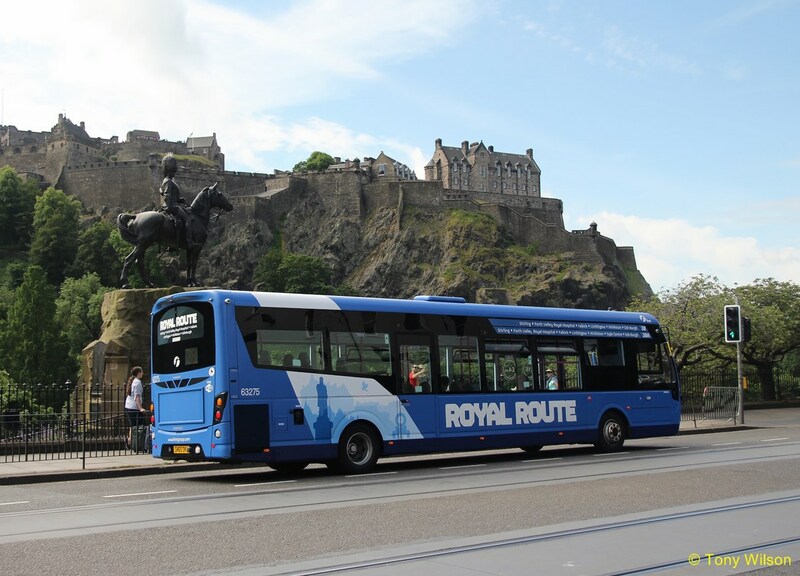 Lothian launched new Lothian Country routes in West Lothian last summer, mirroring existing routes connecting West Lothian and the Capital. Now First plans to retaliate by increasing its services and introducing some in Edinburgh. The company is said to be planning a significant investment, including a plethora of buses to provide express services on key corridors within, and surrounding areas of, the city. But Lothian appeared to welcome the move, saying “healthy competition” was good for jobs, demand, innovation and standards. It will be an echo of the battle between council-owned Lothian buses and First Edinburgh which raged for 18 months around 2001 and led to fare cuts, rival buses fighting for passengers on the busiest routes and large financial losses for both companies. And the prospect of a new conflict sparked warnings that more buses on the city’s roads would add to congestion, making it more difficult for other road-users to get around and increasing pollution. In the summer of 2001, First Edinburgh slashed fares and put on extra services along traditional Lothian buses routes in a bid to win extra passengers. Timetables were changed and more vehicles moved in as competition intensified on the city’s busiest routes. But concerns were voiced that passengers were suffering because other services were being cut or abandoned altogether as resources were diverted. The bus wars finally came to an end in February 2002 when First announced it was pulling out of several routes where it was in direct competition with Lothian Buses. First Edinburgh accounts later showed an annual loss of £4.4m in the 12 months up to March 2002 when the bus wars were at their height. The losses included an operating loss of £2.2m. Lothian buses also saw a plunge in profits and launched a major restructuring exercise in a bid to survive the bus wars. 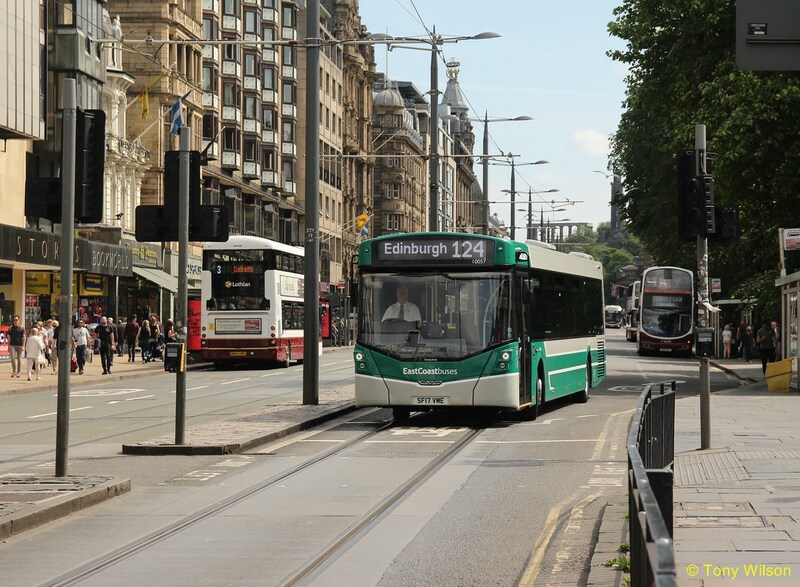 The Office of Fair Trading, which regulates consumer protection and commercial activity, carried out an official inquiry after Lothian buses made a complaint that First was engaging in anti-competitive behaviour. But First was cleared of any wrong-doing by the OFT. It was concluded its conduct represented legitimate competition. First withdrew its East Lothian services in 2016 and Lothian buses stepped in, launching East Coast Buses as a new subsidiary and taking over the operation of services from Edinburgh as far as Haddington, North Berwick and Dunbar. Lothian Country was launched in 2017 with three routes between Edinburgh and Bathgate, and Edinburgh Park Station and Whitburn, seven days a week, and has since added services to Livingston, Armadale, Broxburn and other West Lothian destinations. 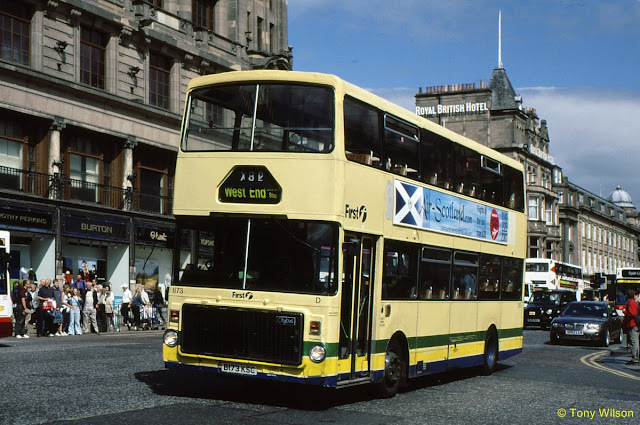 Bus wars set to return to Edinburgh’s streets as First squares up to Lothian Remaining Time -0:00 Ian Swanson Published: 06:00 Updated: 11:30 Friday 15 March 2019 Share this article Sign Up To Our Daily Newsletter 8 Have your say NEW bus wars look set to break out in the Capital after First West Lothian said it was ready to go toe-to-toe with Lothian buses over services. Lothian launched new Lothian Country routes in West Lothian last summer, mirroring existing routes connecting West Lothian and the Capital. Buses on Princes Street. Pic: Greg Macvean Buses on Princes Street. Pic: Greg Macvean Now First plans to retaliate by increasing its services and introducing some in Edinburgh. The company is said to be planning a significant investment, including a plethora of buses to provide express services on key corridors within, and surrounding areas of, the city. But Lothian appeared to welcome the move, saying “healthy competition” was good for jobs, demand, innovation and standards. It will be an echo of the battle between council-owned Lothian buses and First Edinburgh which raged for 18 months around 2001 and led to fare cuts, rival buses fighting for passengers on the busiest routes and large financial losses for both companies. And the prospect of a new conflict sparked warnings that more buses on the city’s roads would add to congestion, making it more difficult for other road-users to get around and increasing pollution. Andrew Jarvis, managing director for First West Lothian said: “Lothian buses launched a significant competitive operation in West Lothian in August last year and have increased their presence in a further four waves, presumably in an attempt to extend their Edinburgh market dominance. “We increased the number of services and journeys on the 28th of January 2019 and are now reviewing a number of options with regards to increasing our services further, not only in West Lothian, but also in Edinburgh. “We welcome the deregulated bus market and competition in a fair environment, but having operated in West Lothian for over 100 years, we know the market is not large enough to support the current level of provision.” Neil Greig of motoring group IAM RoadSmart, said another outbreak of bus wars was bad news for everyone. He said: “Based on what happened last time, these competitions tend to end up with a drive to the bottom, with poorer services and aged buses, and doesn’t attract people out of their cars. “It will mean more buses on the roads and more congestion – and also more pollution. If you have three or four buses standing at a stop – and they’re often older buses – it’s going to have an effect on air quality. People usually blame pollution on cars but in city centres it’s almost always down to buses.” A new survey revealed Lothian Buses is the best value for money in Scotland Passenger survey reveals Lothian Buses is best value for money in Scotland Mark Heritage, general manager of Lothiancountry said: “Since commencing operations in the area last August, we have seen significant customer growth across our network, which is a real testament to our dedicated and motivated workforce who deliver a fantastic customer experience every day. “Healthy competition in the marketplace creates jobs, stimulates demand and drives innovation, whilst ensuring the high standard of customer service that the bus industry is renowned for is maintained.’’ In the summer of 2001, First Edinburgh slashed fares and put on extra services along traditional Lothian buses routes in a bid to win extra passengers. Timetables were changed and more vehicles moved in as competition intensified on the city’s busiest routes. But concerns were voiced that passengers were suffering because other services were being cut or abandoned altogether as resources were diverted. The bus wars finally came to an end in February 2002 when First announced it was pulling out of several routes where it was in direct competition with Lothian Buses. First Edinburgh accounts later showed an annual loss of £4.4m in the 12 months up to March 2002 when the bus wars were at their height. The losses included an operating loss of £2.2m. Lothian buses also saw a plunge in profits and launched a major restructuring exercise in a bid to survive the bus wars. 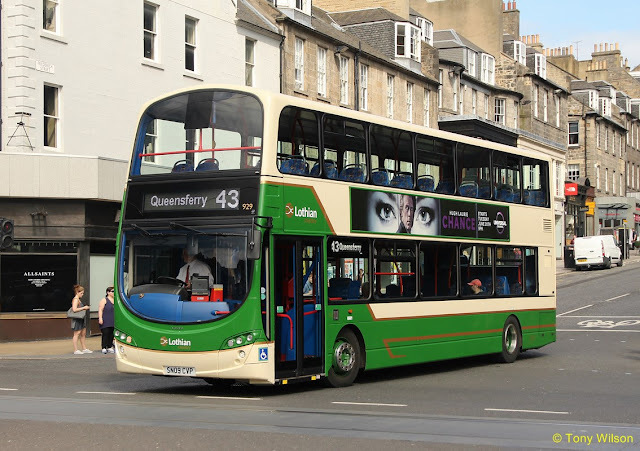 The Office of Fair Trading, which regulates consumer protection and commercial activity, carried out an official inquiry after Lothian buses made a complaint that First was engaging in anti-competitive behaviour. But First was cleared of any wrong-doing by the OFT. It was concluded its conduct represented legitimate competition. First withdrew its East Lothian services in 2016 and Lothian buses stepped in, launching East Coast Buses as a new subsidiary and taking over the operation of services from Edinburgh as far as Haddington, North Berwick and Dunbar. Lothian Country was launched in 2017 with three routes between Edinburgh and Bathgate, and Edinburgh Park Station and Whitburn, seven days a week, and has since added services to Livingston, Armadale, Broxburn and other West Lothian destinations.